Brigitta is an authority in the field of Yin Yoga. In the late nineties she discovered the beneficial effects of the Tao Yin. As a passionate and certified Yin Yoga teacher it is her mission to YINspirate people and give the best of themselves, to discover what you already know and can do. People (again) learn to fly on their own wings ….. 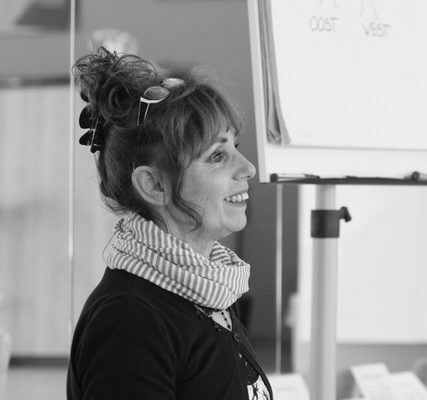 In addition to providing body-oriented training, workshops, training and training days for coaches, teachers and care professionals, Brigitta remains a passionate yoga teacher and enjoys giving weekly yoga classes and the trust she gets from people. Her winged statement is: ACCEPT THE DIAGNOSIS, NOT THE PROGNOSIS! Brigitta specializes in giving yoga in stress related pain and exhaustion problems. 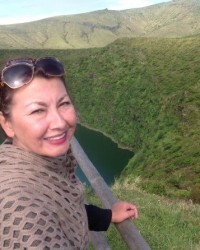 As an experience expert and professional she shares her experience with humor, passion and pleasure from a body-oriented approach, when the diagnosis of fibromyalgia, PTSS and / or HSP has been established. She has personally experienced and experienced it herself. At Brigitta in the lesson you come all the way to yourself and especially closer to yourself. 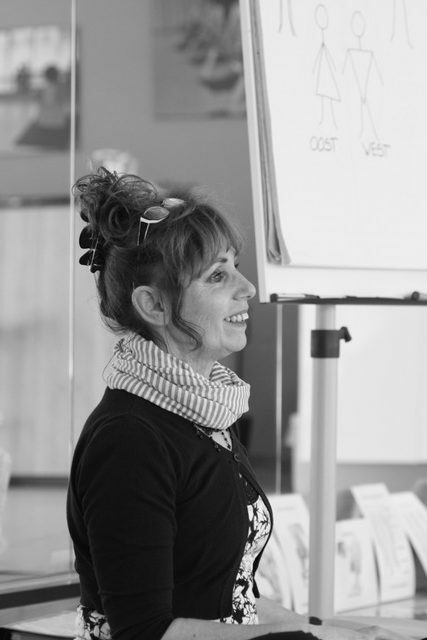 She teaches with humor and lets you discover space in your body in a relaxed way that you did not know you had. It challenges you and leaves you, yourself. She YIN inspires you to rediscover yourself. Hello, I am Diana Jane, proud mother of a school-age son. Working part-time in mental healthcare and passionate yoga teacher. My passion for yoga started in the middle of 2008. Out of curiosity, I took my first yoga class, because I suffered from osteoarthritis in my lower back. Iinstead of taking painkillers, I was looking for a better alternative. I found that, in practicing yoga! Soon the physical aspect cleared the way to consciousness on a mental and spiritual level. Because of enthusiasm and willing to learn, I went to yogaclasses and teachertraining. I completed a Hatha Yoga basic teacher teacher training (B.K.S. Iyengar), followed workshops / refresher courses, among others on Correcting and Guiding and Self-realization. Then came the “TAO” on my “path” through Do-In and Yin yoga. I completed the Do-In yoga basic training “then Do-In Yoga follow-up teacher training, qualifying as Do-In Kids Teacher and the certificate Yin yoga & Psoas Release (100-hour) teacher training 2016/2017. The self healing ability of the body continues to fascinate and inspire me. Record and pass on the knowledge about the Elements (seasons) – and Meridians Learn, translate through the tendencies / attitudes of Yoga, working from Safety, Trust, Responsibility, the (re) finding the balance between Yin and Yang, is an enrichment for me. And I like to share this enrichment through my yoga classes. Hereafter, Partner & Acro yoga came my way. Doing yoga together is much more fun and challenging than alone. Can you stay in touch with yourself in contact with others? Do not lose yourself? Collaborating gives you the opportunity to deepen your exercises and strengthen each other. In the Aerial canvas I found the feeling of freedom, challenge and playfulness. Fly deliciously, amaze yourself about what you can do and above all do not take yourself too seriously. Aerial Kids, Acro aerial and Aerial dance gives me wings, fun and keeps me young. Eventually I did a 200 hour Prolaya Yoga, 100 hours restorative and meditation and 100 hours Yin teacher training. Prolaya Yoga comes from the Himalayas. Traditional yoga often focuses on making short muscles long to become flexible. Prolaya also makes the other weak side of the muscle strong, which gives you strength and balance as well as flexibility and space. A lot of emphasis is on correct body posture and preventing injuries. Good breathing gives energy. In these busy and demanding times, it is a joy to get out of your head and into your body and find peace and quiet. Yin helps you relax and makes you flexible. The meditative side of yoga is also wonderful to recharge yourself and let things go. Yoga Nidra and (Aerial) restorative yoga give me the silence to hear my answers. Yoga is a support in challenging times and keeps my body and mind healthy, something I like to share with others, both on the mat and in the cloth. If you do not spread your wings, you will never fly. Are you flying? Monique came to the Netherlands in 2000 to work in one of the largest fitness chains at the time. She was already skilled as a fitness trainer. Over the years she has gained a lot of skill in various group classes including Zumba. 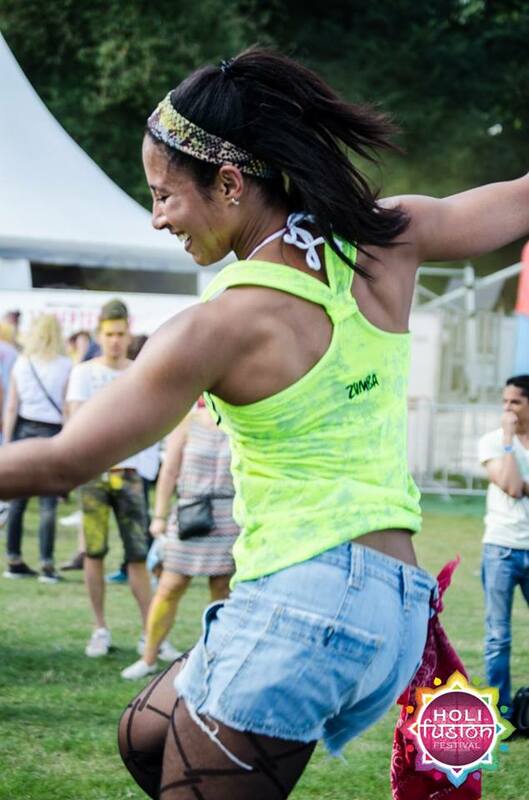 She gives these classes with a high FUN factor in the way Zumba should be given. In the dancing way. All too often Zumba is given as if it was a fitness class. At Monique’s class you’re certainly go home with a BIG SMILE and a satisfied feeling.